Nairobi (HAN) May 23, 2014. Amisom security news updates. Somalia has sought the withdrawal of Kenya Defense Forces from the port city of Kismayo and the deployment of Djibouti soldiers there. 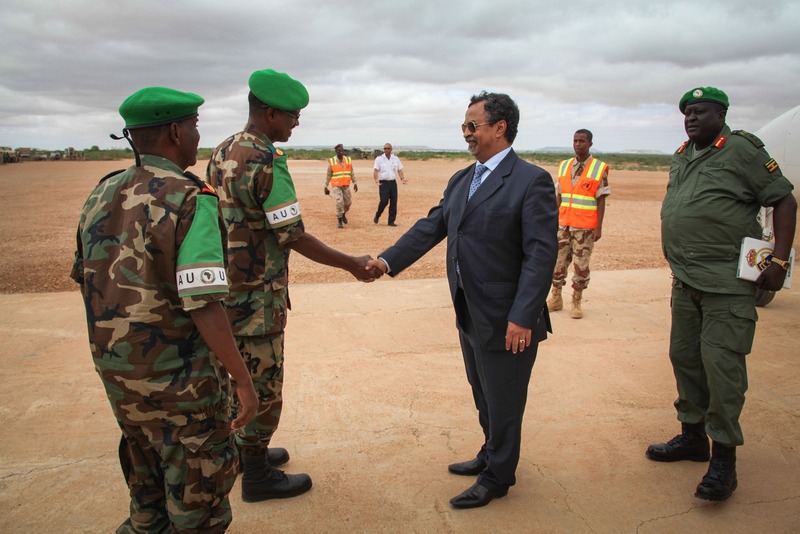 Intelligence sources confirm that AMISOM command in Mogadishu approved the proposal for regional security and stability issues; according to UN representative staff office in Mogadishu. Somalia government does not want the Kenyan soldiers in its territory for a myriad of reasons including the installation of the Jubaland administration which is presided over by warlord Ahmed Madobe, the former Al-Shabaab leader in Kismayo and also an ally of the Kenyan defense forces. Somali security minister claims that Kenya army is partisan in Kismayo local tribal and Administration issues. That Kenya is influencing the politics and administration of the people in southern Somalia (Shabeele and Juba). The federal seat of Somalia Mogadishu leaders also views Kenya as intent on curving a semi-autonomous region which could lead to the annexing of the oil rich coasts of Somalia that are near Kenyan borders. Djibouti soldiers will join Sierra Leone soldiers who have been struggling to learn the geography of the area and to adapt to increasing insurgency, according to Ethiopian Amisom forces commander. Kenyan government beliefs that ‘the removal of Kenya army from Kismayu will allow the entry of politicians sympathetic to Al-Shabaab.’ Kenyan military also fear that any attempt to attack forces loyal to Ahmed Madobe’s militia ‘Ras-Kamboni’ will reignite a war in Southern Somalia tribes. The Horn of Africa Intelligence News Group (1985-2014) publishes intelligence reports, geopolitics, military intelligence, and crime reports analysis. Geeska Afrika Online is the International Gateway news and views about the Horn of Africa (Ethiopia, Eritrea, Somalia, Somaliland, Sudan, South Sudan, Djibouti, Kenya and Uganda), the best IGAD news and information Online Site for the last 20 Years.